Lizards in our area – do you know the difference? 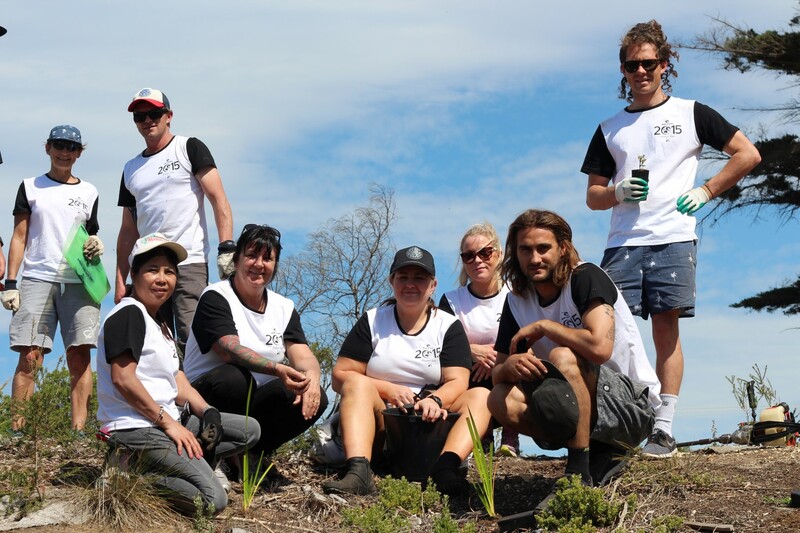 Rip Curl employees have teamed up land managers to conduct conservation work along the local coast as part of the annual Rip Curl Planet Day. 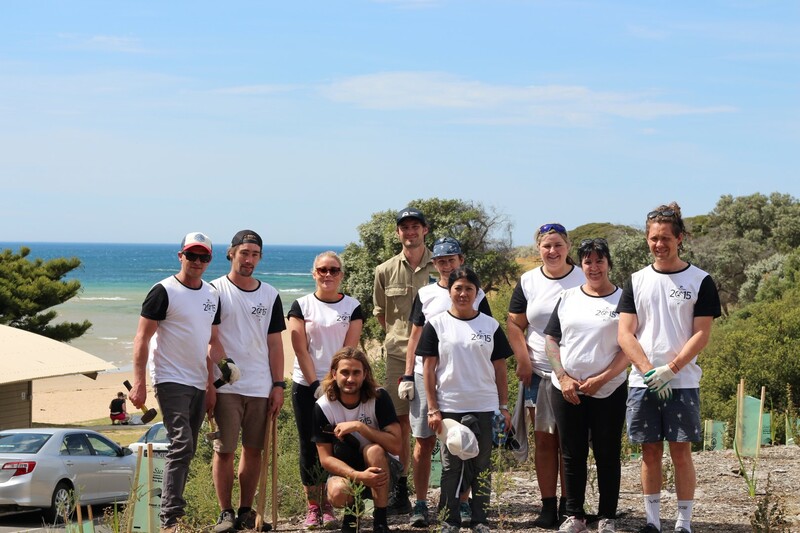 Each year the Rip Curl staff from the Torquay Head Office donate one working day to environmental volunteering, working with the Great Ocean Road Coast Committee (GORCC), the Surf Coast Shire, Parks Victoria, and local volunteer groups. 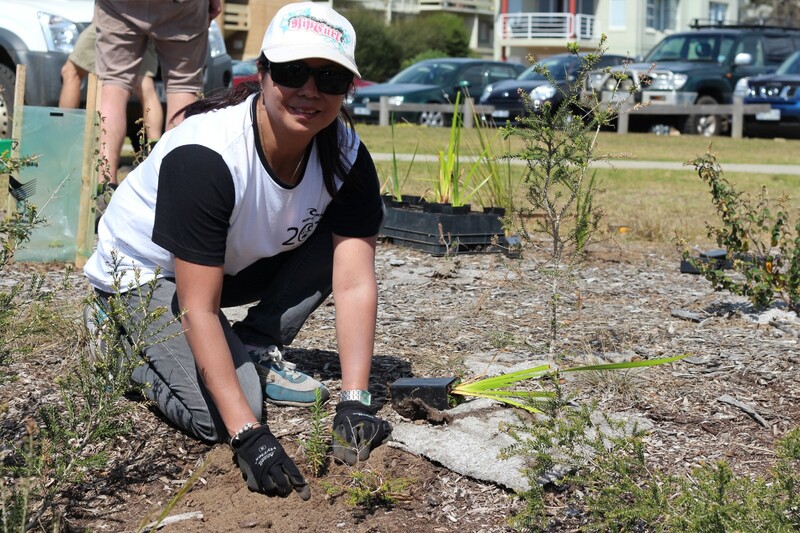 Rip Curl team members braved the 33 degree day to plant hundreds of indigenous flora at Cosy Corner this Planet Day. 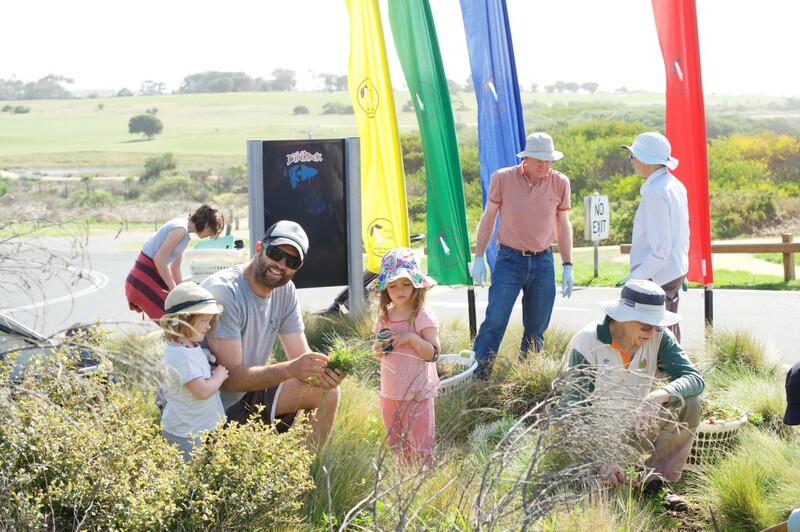 The annual event has seen over 85,000 indigenous Surf Coast plants planted along coastal reserves stretching from Point Impossible through to Bells Beach/Southside. Rip Curl Team Event and Promotions Manager Mark Flanagan said the day was important to the Rip Curl staff as it provides the opportunity for them to give back to their community. “The majority of our Torquay staff live on or near the Surf Coast and use the local areas. “It’s a great feeling for the Rip Curl team to be able to walk past and see the progress of the areas they worked on over the years,” he said. Rip Curl team members partnered with the GORCC conservation team to re-vegetate the popular beach destination. Mr Flanagan said one of Rip Curl’s core values is to be environmentally responsible with Planet Day providing the opportunity for staff members to actively contribute to their local environment. “Planet Day is a fantastic way to support the team of dedicated land managers and volunteers who spend hundreds of hours every year to make the coast a better place,” Mr Flanagan said. Rip Curl CEO and Planet Day participant Stephen Kay said he enjoys seeing the results from the Rip Curl staff. “We value the opportunity to contribute to the local environment and are committed to the future of the program,” he said. The team takes a break from the sweltering heat this Planet Day. Staff are divided into various groups over the two days to complete environmental activities such as indigenous tree planting, eradicating environmental weeds, removing rubbish and implementing water saving strategies. Long-time Rip Curl team member Dianne McCall has participated in Planet Day every year since it began in 2000, and loves seeing the difference the work has made. 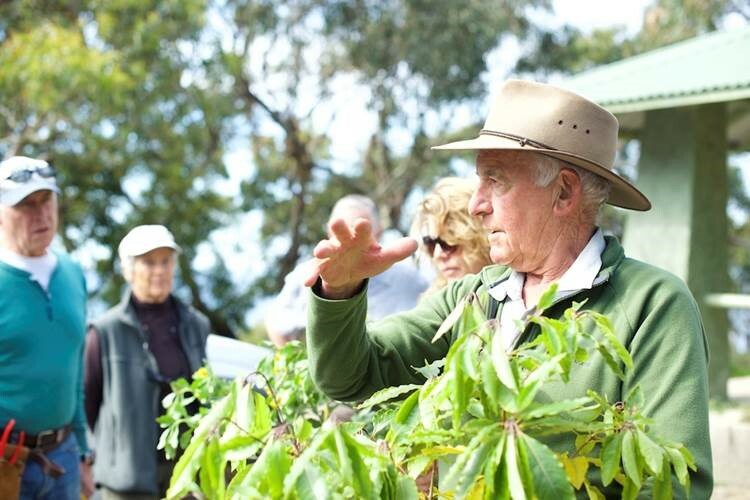 More than 600 indigenous plants were re-introduced to the Cosy Corner foreshore. “The day is a great opportunity to socialise and work with people who you wouldn’t normally see in the office whilst also having a positive impact on the coast,” she said. Local environmental volunteer groups and land managers work to ensure that progress made by the Rip Curl crew is maintained through ongoing conservation works and programs throughout the year. Cosy Corner was one of many Torquay areas to receive an environmental make over thanks to the Rip Curl staff this Planet Day. Rip Curl has a strong determination to be environmentally responsible and encourages everyone to demonstrate environmental stewardship. What are some of the things you do to protect our coast? Let us know in the comments below. Jan Juc Coast Action (JJCA) were announced joint winners of the Victorian Coastal Awards for Excellence Natural Environment category in the annual ceremony held on October 15. The Awards, held by the Victorian Coastal Council, celebrate the outstanding work of individuals and groups in enhancing and protecting Victoria’s coastal and marine environments. Eight awards were presented to groups and individuals who have made outstanding environmental contributions to the Victorian Coast. Minister for the Environment, Climate Change and Water Lisa Neville said this year’s finalists and award winners have been exemplary. “I’m proud of how we take real responsibility for the welfare of our coast, which not only improves the health of the environment, but also the livability of our communities. “It is important we understand the threats to our coastal and marine environments, and the ways in which communities can take action to help limit their impacts,” she said. 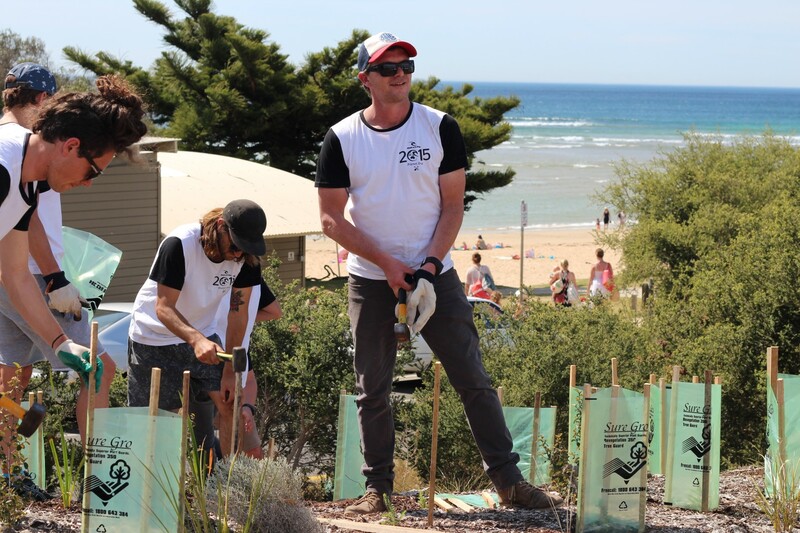 Over the past 21 years, JJCA has rehabilitated four kilometers of coastal foreshore and continues to improve this area through monthly working bees conducting activities including the removal of pest species, fencing and revegetation. 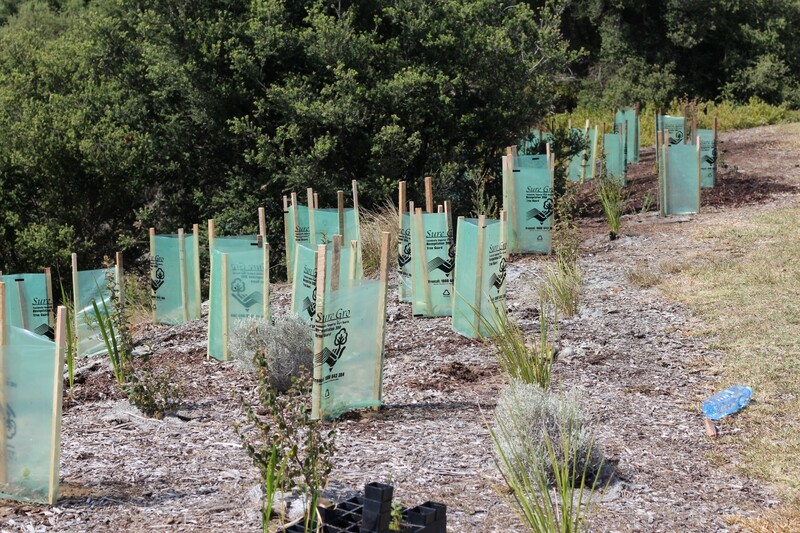 In recent years, the group’s focus has shifted from revegetation and access control to targeted threatened species and raising environmental awareness through engaging with the community. Recently JJCA launched their online searchable plant database the Surf Coast Nature Search, that aims to help support an increase in environmental awareness among locals and holiday makers. The Great Ocean Road Coast Committee (GORCC) works closely with environmental volunteer groups that work on the GORCC managed land and was thrilled to see JJCA receive the award. GORCC Community Liaison Manager Jane Lovejoy said the award was well deserved and a testament to the hard work volunteers donate each year to protect the coast. “Volunteer groups continue to be the backbone of GORCC’s conservation efforts with 11 groups working directly on our managed land. “It is fantastic to see local environmental volunteer groups receive recognition for their consistent contributions to enhancing our precious coastal environment,” she said. Coastal conservation is everyone’s responsibility. How do you help keep our coast beautiful? 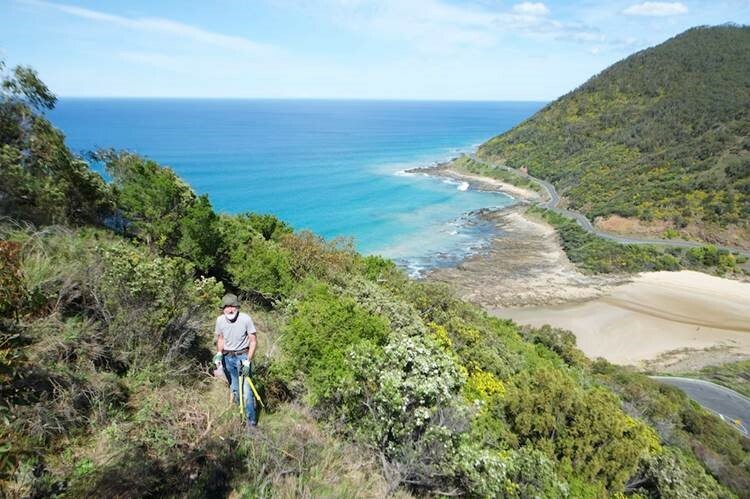 GORCC works alongside and supports many volunteer groups who operate on coastal Crown land reserves from Torquay through to Lorne. These groups spend thousands of hours each year undertaking vital conservation work and raising awareness in the community. Friends of Queens Park Lorne are one volunteer group working towards creating an environmentally friendly future. Sweet Pittosporum, bone seed and cape broom have all met their downfall over the past few months, thanks to the work of GORCC and the Green Army. Also there’s the social connectivity of the volunteer groups Friends of Queens Park and LorneCare working together in Queens Park with three working bees planned during the spring. 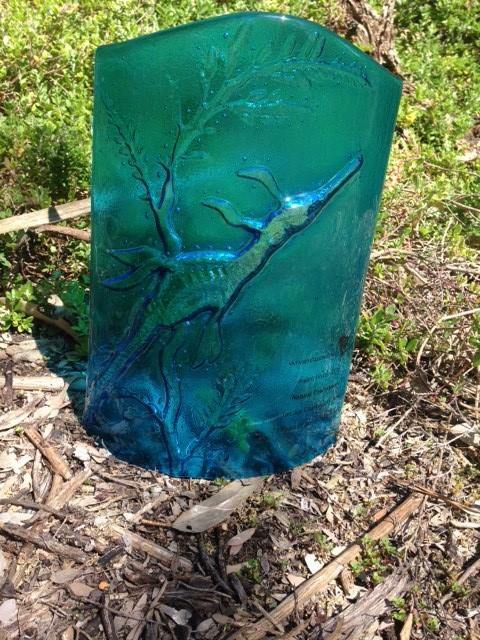 An example of this work can be seen on the fire track leading up to Teddy’s Lookout from the Queens Park caravan park. It’s a revealing dividing line showing good weed control management on the uphill side, neglect on the downside. Take a look on your next walk down this track. We trace the growth cycle of Sweet Pittosporum. It begins with the sweet smelling flowers. The resulting seeds are spread by birds and emerge as small plants growing prolifically to form a dense canopy of foliage so dense that the sun can’t shine through. There’s semi darkness underneath an old stand, soil nutrients change, indigenous plants die and biodiversity is destroyed. It’s an invasive weed which can spread very rapidly. To counteract this invasion is it essential to limit the spread by removing foliage and some entire plants. Control of the Sweet Pittosporum requires drastic action. Whole plants often have to be removed by cutting the trunk at its base and the stumps painted with systemic herbicide immediately after cutting to ensure that the plant is killed. After the Sweet Pittosporum has been cleared away the land is left bare for the regeneration of indigenous species. Interested in getting involved in the outdoors? Check out our website to find out how! Volunteers are gearing up for another busy Hooded Plover breeding season as the threatened shore birds begin to pair up and get ready to nest. Volunteer group Friends of the Hooded Plover Surf Coast (FHPSC) will be working around the clock to protect nests and chicks again this year, monitoring nesting sites during breeding season. FHPSC Regional Coordinator Sue Guinness said volunteer wardens would be working to educate beach users about the vulnerability and breeding habits of the ‘hoodies’ to improve the awareness in the community. 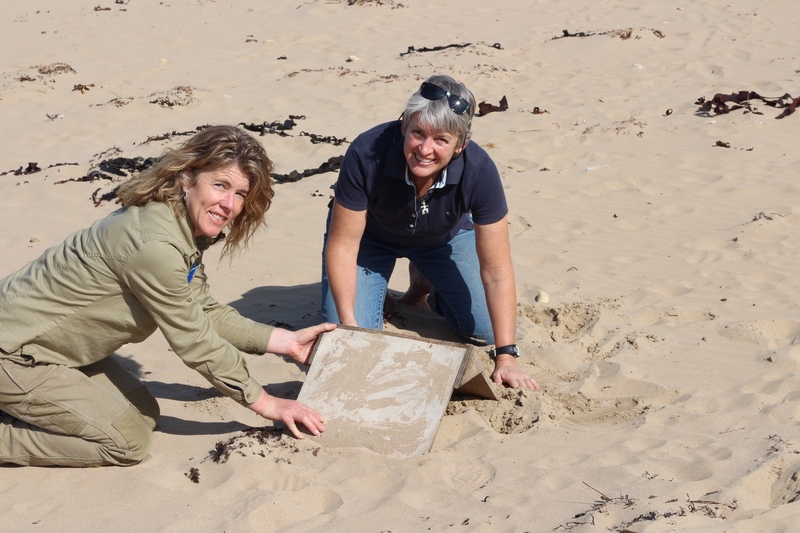 FHPSC Regional Coordinator Sue Guinness and GORCC Conservation Supervisor Georgie Beale observing hoodie nesting sites along the beach. “We hope the community supports our efforts to help the chicks survive on the coast this breeding season. The FHPSC group encourages the community to be actively aware of the impacts they have on chick survival. 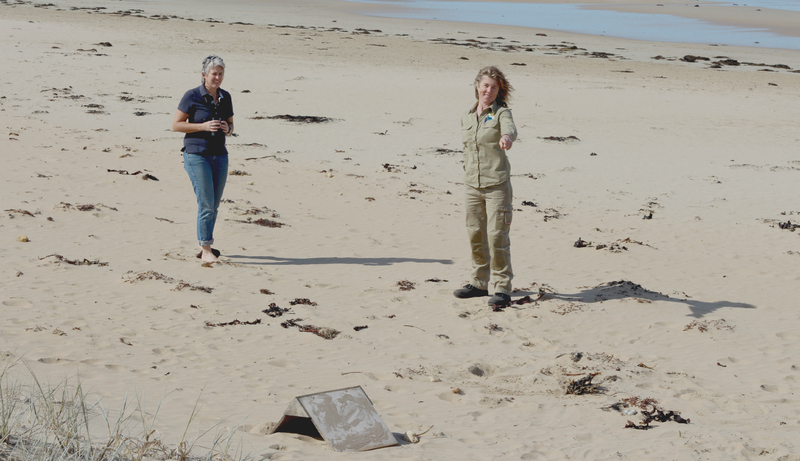 “It would be fantastic to see humans, dogs and Hooded Plovers all using the same beach and coexisting together, and to do that we need to be aware of the risks we pose to these vulnerable birds. Ms. Guinness said Hooded Plovers nest in high traffic areas during the busiest time of the year, making it difficult for chicks to survive without community effort. 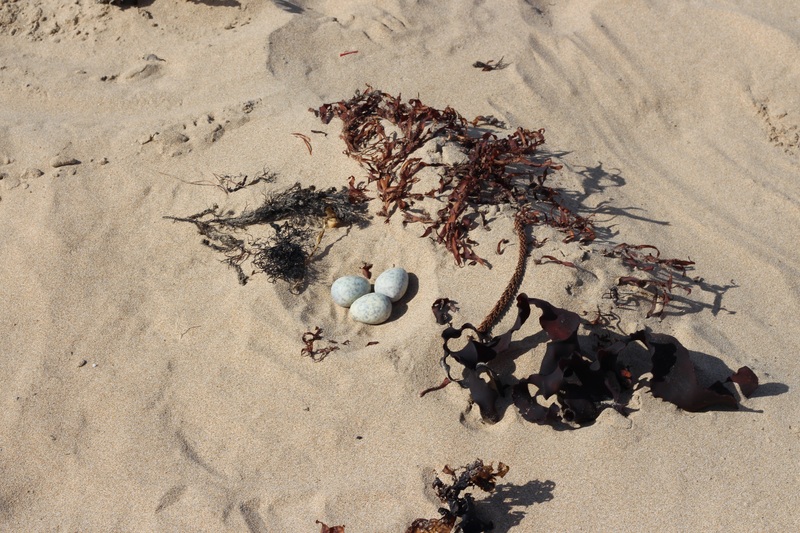 A recreated Hooded Plover nest demonstrates how fragile and exposed these tiny eggs are on the beach. “We try to engage with the community near breeding sites when we are out monitoring to generate interest about the plight of our plovers. “The easiest way to help us save these precious birds is to talk about them with friends and respect nesting areas,” she said. During breeding season land managers such as the Great Ocean Road Coast Committee install signs to alert beachgoers to breeding zones, with regular breeding sites at Point Roadknight, Point Impossible and Moggs Creek. FHPSC Regional Coordinator Sue Guinness and GORCC Conservation Supervisor Georgie Beale dig in some hoodie shelters to help with chicks and adults survival. Last breeding season was a record year for ‘hoodies’ on the Surf Coast, with 6 chicks fledging (surviving until they are able to fly). Only 12 chicks have survived to fledging on the Surf Coast since 2010. This season FHPSC, Birdlife Australia and GORCC are again working together to give the chicks their best chances of survival and are encouraging beachgoers to give ‘hoodies’ some space. To get involved in ‘hoodie’ protection and become a volunteer, contact Birdlife Australia via email or visit their website for more information.